Welcome to our charming Hotel les Rives de Notre Dame! Lying on the banks of the Seine , with a view over Notre-Dame, you will be received with the greatest of pleasure! Paris of the arts! We invite you to discover the joys of this district charged with history! 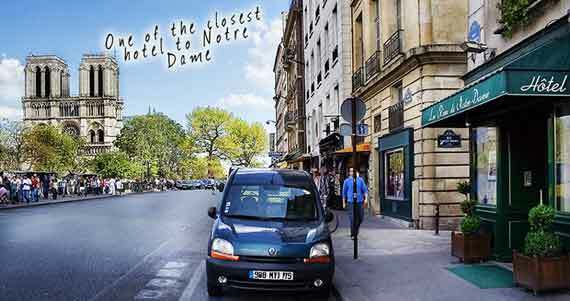 The hotel is in the heart of Paris, facing Notre-Dame along the river Seine. Orly Airport (Orlyval) : take RER, Line B. Exit "Saint-Michel/Notre-Dame" Station. The hotel is only 2 minutes walk from the station.